Nathan just recently filled us in on his top ten Zelda Informer posts of 2010, so let’s now broaden our sight to the top ten Nintendo games of 2010. For Nintendo fans, 2010 has been one fantastic year of gaming. Since E3 2009, before 2010 was anywhere nearby, we hailed it as “the Year of the Wii”. And why wouldn’t you considering titles such as Metroid: Other M and Super Mario Galaxy 2 had been announced, with some people holding on to the hope that the then unnamed Skyward Sword may come late in the year. Then came E3 2010 where we were again hit with a barrage of big titles for release later in the year like the remake of GoldenEye and the return of Donkey Kong Country. But let’s not get all caught up in the awesomeness that is the Wii and forget its partner, the Nintendo DS, which has also had a superb year with its generation two Pokémon remakes and the massive adventure that is Dragon Quest IX. Now, most times introductions to top ten lists will say something along the lines of “it was extremely difficult to select just ten games in such a fabulous year”, but I won’t patronize you with that cliché. All of the following titles earned their spot, and I wouldn’t have it any other way. There were never any doubts as to what would go where. Keep in mind that all games produced exclusively for Nintendo consoles, which were released in the US during 2010, were eligible. Please note also that this is solely my opinion, not Zelda Informer’s as a whole, or anyone else’s. Hopefully we’ll agree on a few titles at the very least readers. 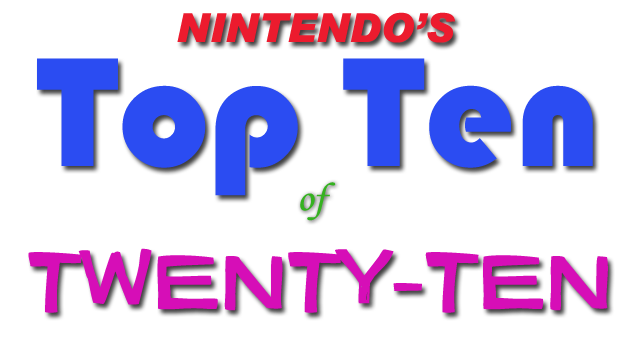 So, without any further rambling, I present to you Nintendo’s Top Ten of Twenty-Ten, as judged by me. The first two installments of the Professor Layton series, The Curious Village and Pandora’s Box, took the gaming world by quite a storm. A storm that attracted a whole new range of people to gaming, or in the case of Layton, problem solving. 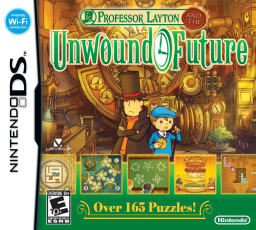 The Unwound Future (or Lost Future in Europe and Australia) built upon the already established to deliver the best Layton installment to date. The quirks of the first two games had been sorted out this time around – so just add a much more immersive storyline and a massive range of new puzzles to solve and you get the number ten Nintendo game of 2010. While delivering with the classic Metroid feel and some fast-paced action, Other M was a new direction compared to Samus’ past adventures. This time around we learned the story behind the space bounty hunter and got to know the ‘woman behind the visor’; and it was a gripping storyline to say the least. 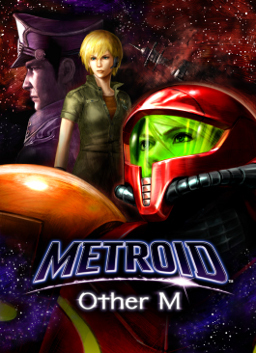 Other M is no Metroid Prime, but with its enjoyable combat that switches from first to third person throughout the game, Other M was a game in its own right. Modern Metroid you can call it – a must for all Metroid fans and also for us that had never played a Metroid title before. This was one of those titles that came out of nowhere and snuck up on us all, potentially not receiving the full attention that it deserved. Some are calling it the best Kirby yet, but I think I’ll go for my own safer wording and say that it is the only Kirby game really worth playing since good ol’ Kirby’s Dreamland. It’s one of those games that many people would have only bought for what they call some “feel good fun”, but the game went well beyond expectations. There was the cutesy feel of the yarn and the music, but the game was driven by great concepts, enjoyable power ups and fun level design. Sure, it may have been a bit of a walk in the park with some shortcomings, but the innovation of the game was enough to overshadow those limitations. 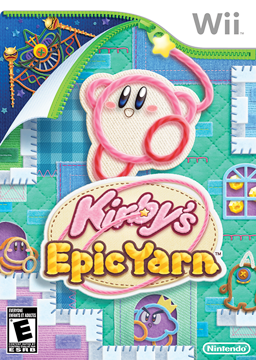 Just like Sonic has returned to form with Sonic Colors, so did Kirby with his Epic Yarn. What should have been the triumphant return of Mickey to gaming has been somewhat disappointing. There were mixed reviews, with many positive, but some more critical ones like our own ‘Disney Epic Failure’. At E3 2010, Epic Mickey was one of the most highly anticipated games of the show. The trailers, the introduction cinematic and the painting concept behind it all looked stunning. But I fear it was these high expectations that have disappointed. We expected epic, but we only got great, and that’s the thing. Epic Mickey is a fun game when it comes down to sitting down and playing it; it’s just not everything you expected. Epic Mickey sure didn’t come close to brushing with greatness, but it provided enough of a standout gaming experience to be my number seven of Twenty-Ten. Many of us can’t deny that it was the graphics that drew us in. What Capcom managed to achieve with the Wii’s capabilities was nothing short of stunning. Then once you are over the graphics, the game itself has plenty to offer. The offline single player mode offers extensive amounts of challenging gameplay taking down monsters all the while you’re customizing your own weaponry and armor. 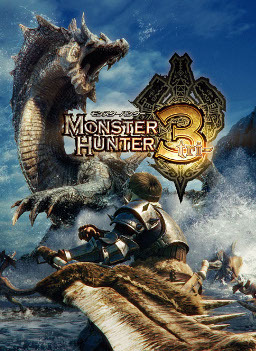 The game may have been better titled Monter Hunter Try, because it is a challenge to say the least – trying is necessary. On top of the single player you can then jump online for multiplayer with up to four others where you can work together to take down even more beasts, with Wii Speak compatibility. Stunning visuals, customizable inventory and challenging gameplay – it has everything people want in games, except a compelling story. Honestly, it’s hard to go wrong with a Pokémon game, especially when it’s a remake. However it is fair to say that HeartGold and Soulsilver went beyond. I’ve heard the phrase “best remakes of all time” thrown around and I can’t disagree. With over a decade of refining the system they provided the best interface (in battles and elsewhere) of the series. 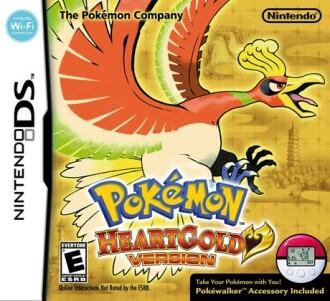 The Pokémon management system and DS controls were better than ever, and the game went for longer too: meaning that you got the joys of HeartGold and SoulSilver for longer. 16 badges could be earned across both the Johto and Kanto regions. On top of all that, the game could house all 493 Pokémon, making it the largest in that regard too. All of this was then capped off with the Pokéwalker accessory which can be seen as stylish fun for the kids or, more realistically, the best way to train Pokémon while just doing your daily business – one step at a time. It proved once again that Pokémon is a lifestyle, not just a game. Many had been hoping that somehow Nintendo would strike up a deal that saw the original GoldenEye meet its release on the virtual console. Although that didn’t happen, the next best thing did, and now we have this remake on the Wii. It may not be quite up to the grandeur of the original, but the upgrades in graphics and the step towards voice acting were clear improvements, along with the modernized storyline. More significant than the single-player mode is GoldenEye’s legendary multiplayer, which returns in its full glory. You only live twice and man with the golden gun are as fun as ever, with the new capability that the 64 never had of playing online with up to eight players. 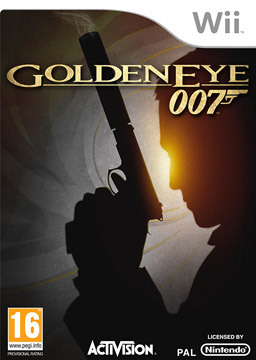 GoldenEye remains a classic first person shooter, and although it lacks the originals impact, its worth every dollar. Being the first Donkey Kong Country game to not have Rare involved in its development, many were skeptical, and rightfully so. 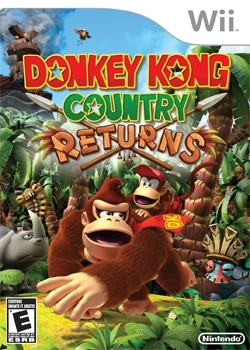 However, in the short time since its release, Donkey Kong Country Returns has made a big impact. It isn’t large on the innovation, but rather sticks to classic gameplay with the new stunning graphics, all contributing to what many are calling the best Country game ever. The game is a stand out platformer that is both challenging, and catering to gamers of all different skill levels. 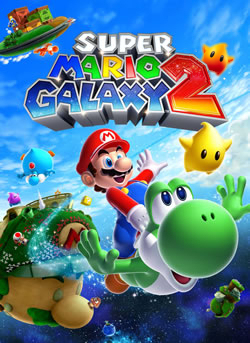 While the soundtrack may not be quite the same standard, many gamers are saying that this title gives Mario Galaxy 2 a run for its money. On the second perch of the podium comes the wild card, the controversial placement – and really, what would a top ten list be without a bit of a shock? Perhaps it isn’t a surprise to you, because Dragon Quest IX deserves this position entirely. 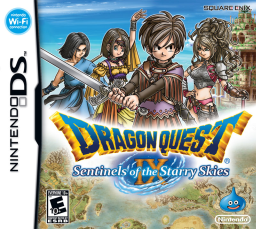 The game boasts a surprisingly large world for a DS title, with up to and over 70 hours of gameplay just to complete the main storyline. If you count the vast amounts of quests, alchemy, and collectibles like armor and weaponry, that time easily becomes far beyond 100 hours. Reused enemy sprites and ridiculous enemy names like cruelcumber aside, Dragon Quest IX provides quality for the full extent of play. The battle and leveling up system is catchy, and the storyline is close to, if not the best, I’ve ever played. All throughout are touching sidestories where lingering spirits can finally go to rest and make up for life’s regrets that cause them to remain below, along with a healthy dose of humor and lightheartedness. Nothing impressed me more than how little tidbits of the story that seemed insignificant slowly built up as you revealed more and then fitted into the overall big picture. It was a game that just kept going. You find yourself continuously thinking that you must be at the end, but then there’s more to come, which is fantastic because you don’t want it to end. But when it does end, what an end it is. It’s simply stunning how the start and end are tied together with the same sequence, it’s just that the second time around it makes so much more sense. And that’s all without any mention of the wireless play, allowing you to jump into other people’s quests and trade like a crazy merchant. All I can say to sum up Dragon Quest IX is it really is a shame that it couldn’t be number one. And so we jump from the wild card to the expected and almost cliché placement of Super Mario Galaxy 2 as number one. Of course it deserves it as one of the highest rated games of all time, but also simply because of how magnificent it was. The story may lack compared to the original, but that’s not what makes a Mario game. The clever level design and power ups make Mario. Galaxy 2 is stunning because it doesn’t hold on to one single idea to carry it. Each level contains ideas that in many cases would be the basis for a whole game, but in Galaxy you get it only a couple of times – progressively increasing its difficulty. And difficulty makes this title so great because it eases you in and then brings on some really challenging levels, but fear not as the Cosmic Witch is there to help out and ensure gamers of all experience can enjoy the game. Add to that the beautifully orchestrated soundtrack that is easily the best we’ve ever heard, along with a fantastic final boss fight with Bowser and you get not only the best Nintendo game of the year, but the overall best game of the year hands down – if not the best game of all time, depending on who you talk to. 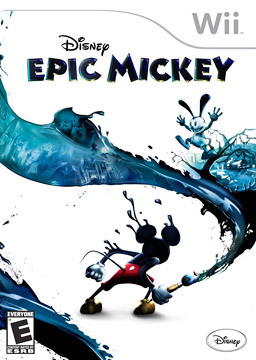 Sorry Kirby and Mickey, but this is the only game of 2010 that deserves the title of ‘epic’. So, do you agree? Do you disagree? What would you have changed? Are there any titles you would have added or removed? Let me know in the comments section below, because there were some other fine games that probably would have made the list any other year. Golden Sun: Dark Dawn, Sonic Colors and Red Steel 2 are among those poor souls to have missed out. And of course there was no sight of Wii Party or Pacman Party – surprising or not, I’ll leave that judgment up to you. So there goes another year, and even though 2010 was so great, I have an inkling that 2011 might just top it. While you wait, be sure to give any games on this list you haven’t yet a shot. Until next year’s Top Ten, happy gaming.